There have been some in the Christian camp who have labeled themselves Christian dominionists, possibly because they refer to the original covenant found in Genesis 1:26-28 as "the Dominion Mandate" and because they advocate a top-down approach regarding the imposition of biblical ethics on secular society. Regarding my teachings on the kingdom, some with an anti-Christian bias have no doubt referred to me as a Christian dominionist even though I preach against it. These folks try to label and intimidate any Christian leader who believes biblical ethics belong in the public square. Since I am not in agreement with Christian dominionist language, methodology and/or conceptual framework, I will use this missive to give seven reasons why I am not a Christian dominionist. Some reasons are theological and some methodological. 1. The word "dominion" in Genesis 1:28 is not referring to the exerting of dominion over humanity. Consequently, I have theological issues with those who use language like "God has called the church to take our cities!" The church is never called to force the gospel message upon the general public. Of course, when a law that reflects biblical ethics becomes public policy, the civil authorities should enforce its application, which is much different from forced conversions. In a pluralistic society such as the United States, only those who win the public's perception earn the right (meritocracy) to frame culture with their worldview. Instead of using force or depending upon mere political coercion, Christians are called to prove that their biblical values best serve society in the context of everyday life. 2. The New Testament model for gospel influence is through service, not through coercion. The New Testament equivalent to dominion is influence. Jesus modeled how the church is to have influence when He washed the feet of His disciples and said that the greatest in the kingdom is the one who serves. Those who serve eventually lead because they become the problem solvers of their families and communities. Jesus did not just preach the Word, but He met the physical, emotional and spiritual needs of the people. Consequently, if we want to influence a city, we don't take it but rather love and serve it. The problem with the early church after Emperor Constantine began to favor Christianity (A.D. 313) was not that Jesus was proclaimed the universal or imperial ruler, but that the church transmuted itself and became elitist in nature. In some ways the oppressed (the church) became the oppressor and the Roman Empire influenced the church more. 3. I do not believe politics is the primary means to kingdom influence. As a case in point, the Christian Right put most of their time and money into political elections since the late 1970s. Although they have won many elections which include two presidencies (Reagan and Bush), they have lost the public relations battle with the secular humanists, and lost influence in the majority culture. Consequently, while they were focusing on mere politics their opponents focused on the music, arts and entertainment industries and won the hearts of most of the millennials. Presently, the highest value in the Western world is freedom of expression and the Christian Right is now viewed as intolerant bigots who are against progress, creativity and equality. Politics is very important but will never ultimately work unless the hearts and minds of a culture are in agreement with its stated platform and philosophy of life. Thus, the church should focus on reflecting God's truth in every aspect of culture, not just politics. 4. I do not vote for a political candidate just because he/she is a Christian. There have been several elections, both national and local, in which I voted for a non-Christian over a Christian candidate. I would rather vote for a qualified person than someone who agrees with me theologically. Regarding the presidency, we are not electing a theologian in chief but a commander in chief! Also, if we elect an unqualified person just because they are a believer it can backfire if their failures in policy are blamed on Christian beliefs. I will vote for a person irrespective of their beliefs and lifestyle if their values, qualifications and methodological approach to policy is closer to my view than their opponent, even if their opponent is a Christian. Of course, all things being equal, if two candidates are virtually equal in regards to policy, values and pragmatics, I would choose the Christian over the non-Christian. My hope is that eventually more Christ-honoring people will be qualified to lead in every realm of society because the consummation of history will ultimately unite heaven and earth under the Lordship of Christ. 5. God uses non-believers to fulfill His purposes. Through His common grace, God works through all people for the good of humanity even if they are philosophically opposed to Him. For example, many of the charitable outreaches I have participated in have been resourced and/or aided by secular agencies, political officials and some private citizens who have espoused a lifestyle different from mine yet we still serve together for the good of our communities. 6. I believe God has called believers to work toward having flourishing communities. I am not opposed to Christians getting involved politically and I believe in biblical ethics in policy. However, our greatest ethos regarding ethics is to love our neighbor as we love ourselves. Consequently, this means that the church should not do community service merely when they can evangelize and add members. This is disingenuous and the world sees through this and has a right to be offended by it. We are to love for the sake of love and use our gifts and abilities as image-bearers of God, to creatively enhance our communities for human flourishing. As we live a life dedicated to love and service we will inadvertently change the narrative folks have regarding our churches and our faith. The church once transformed the Western world through music, art, the promotion of aesthetics, abolishing slavery, fighting for civil rights, and through the founding of universities, disaster relief agencies and hospitals. Without the love and ingenuity of the church, the Western world would still be living as their pre-Christian Barbarian ancestors did. Hence, God is calling believers back to both kingdom orthodoxy and orthopraxy. 7. I do not believe all nations will be Christianized before the bodily return of Christ. The Bible teaches us that Jesus will not return until the restoration of all things (Acts 3:21) and all His enemies are under His feet (Ps. 110:2). Furthermore, Jesus as the last Adam (1 Cor. 15:45) came to fully implement the cultural mandate given to the first Adam (Gen. 1:28), which is why He called believers to disciple whole nations (Matt. 28:19). While some Christians (some, not all Christian dominionists) have interpreted these passages to mean that every nation will eventually become Christian before He returns, I do not agree. The Bible is not clear regarding what it means for His enemies to be put under His feet, so we are only left with conjecture regarding what kind of kingdom witness will be on the earth before His coming. Jesus said (Matthew 25:25-41) that there will be disobedient goat nations when He returns, thus showing that all nations will not be saved at His return. Also, scripture teaches in 2 Thessalonians 1:7-10 that "when He comes He will punish those who know not God and disobey the gospel." Hence, there will be plenty of unbelievers at His return. Finally, it says in Revelation 20:8-10 "that near the end of human history Satan will deceive some of the nations" and Revelation 21:24 (KJV) that "the nations that are saved will be able to enter into the Holy City" which implies that there will be large collections of unsaved people groups at the consummation of human history. What all these passages teach is that, this side of heaven, we will never experience the fullness of the kingdom until Jesus returns. This does not mean that we do not try to manifest His kingdom wherever we go, but that we occupy and function as the salt and light of the world until He comes (Luke 19:13; Matt. 5:13-16). Joseph Mattera is an internationally known author, futurist, interpreter of culture and activist/theologian whose mission is to influence leaders who influence nations. He leads several organizations, including "The United States Coalition of Apostolic Leaders (uscal.us)." 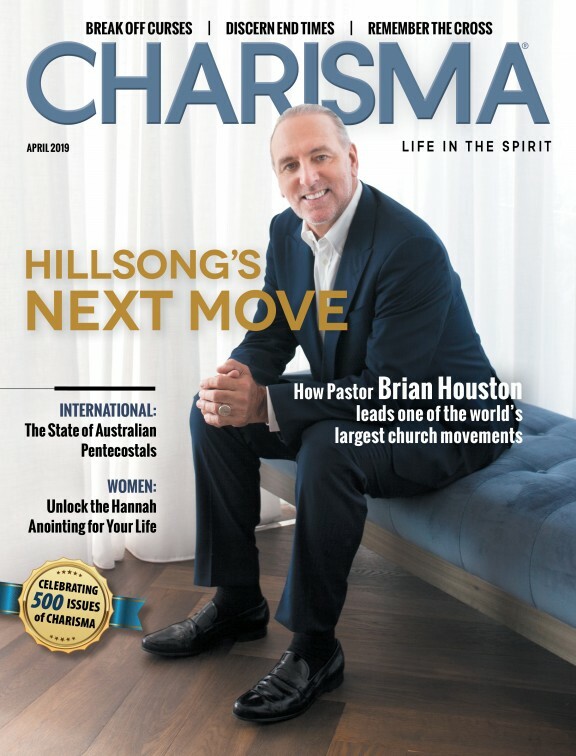 He also has a blog on Charisma magazine called "The Pulse." To order one of his books or to subscribe to his weekly newsletter go to josephmattera.org.